And Reed’s influence went well beyond music. His straightforward, honest (sometimes too honest, bordering on what some critics and interviewers have called crass) style was loved and hated, but it was mostly revered. And when Reed died, he left behind not only hundreds of beloved songs but also a record of a life well lived (not to mention fully lived) and much to emulate. To that end, below are a few lessons, culled from the life of Lou Reed, which can be used in the workplace (and elsewhere). 1. Don’t ask your teachers and managers what they can teach you, tell them. Reed was a well known autodidact and school hater, but he did take some guitar lessons. Or, rather, one guitar lesson. And there’s a lesson in this lesson. The way Reed tells it, when he was 10 years old on the Island (he grew up in Freeport, Long Island) he was sent to the local music store to take guitar lessons. It was the type of store that sold pianos, the corner music store where lessons were given in back. In any case, when the young Reed showed up for his lesson, his designated teacher opened up an old musty book of chords (the same one most kids learned from back then) and began to show Reed how to play them. Lewis stopped the teacher right away, handed the teacher a Carl Perkins record, and said, Just teach me how to play these songs. The teacher told the young Reed that the songs only consisted of three chords. Reed said, Then teach me how to play those three. Which the teacher then did. And that was the last guitar lesson Reed ever took. Now, the moral here is not necessarily to shun formal education or training like Reed did (at least musical education; Reed went to Syracuse University where he studied literature under the great Brooklyn-born writer Delmore Schwartz, an artist Reed revered perhaps above all others), but if you know what you want to learn, then ask—or perhaps demand—that your teachers and managers teach it. 2. It’s better to do one thing well than to do many things just okay. Some of Reed’s most well known songs include even fewer chords than Carl Perkins’—that is, two. And one of Reed’s most well known quotes is this: “One chord is fine. Two chords are pushing it. Three chords and you're into jazz.” By which Reed means to keep it simple, don’t overdo it. He also means something more, which is illustrated by an interview with Reed I caught years ago in which he was asked about his famous minimalism. 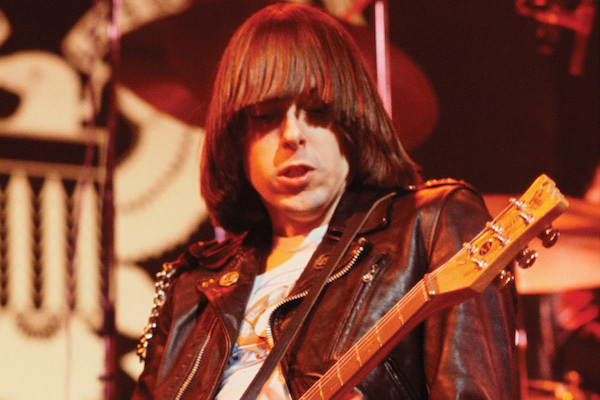 To which Reed replied something to the effect of: “I may not know as many chords as other musicians, but I bet I know the D chord as well as or better than anyone.” Reed also added in the interview that even though he knew the D chord well, he was still learning more about it. In other words, if you want to follow Reed’s lead, be an expert, immerse yourself in something, and never stop improving your knowledge in your area of expertise. 3. Never compromise your integrity for the marketplace. "One of the musical things about 'Heroin' that nobody else was really doing in 1967 is that it's seven minutes long. Lou often said that that was one of the reasons that no major label would sign them. 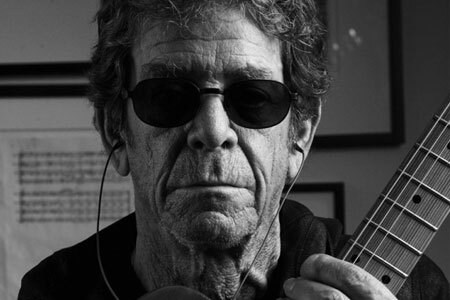 All the meetings they would have with the different representatives, it was always like, 'Well, you're going to have to cut all of your songs down to three minutes'—and, of course, Lou and the band would never do that. So it sort of put them off in the corner from the very start. Besides that, it's the kind of song that includes incredible improvisation and feedback guitars and tribal drums that rock 'n' roll players weren't doing then. It just had a completely original sound, above and beyond all of the San Francisco bands, or whatever rock bands were big at the time—especially the British Invasion bands like The Beatles and The Rolling Stones in 1967—were not doing anything like this. It was a unique sound that set The Velvet Underground on a path that never stopped." The point is, if you believe in your product or service, then don’t alter it for short-term gains; instead, think long term. In the case of VU’s début, although it didn’t sell well in its early years, it went on to sell extremely well, to say the least, and was named to numerous best-ever record lists, including placing No. 13 on Rolling Stone’s list of the 500 Greatest Albums of All Time.